Drones are cross-functional flying gadgets. People buy drones for various purposes. You can use them for making aerial photos. Drones can easily deliver packages or can be irreplaceable tools in different areas. 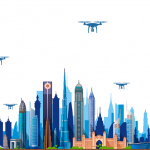 In this article, you can find more detailed information about the purpose of buying a drone and the way where to use them. 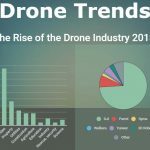 We see that drones are getting smarter and more industries start using them for different purposes. Last week, Airdog, a well-known actions drone startup released a programmable drone. Its primary purpose is to follow users engaged in extreme activities. The drone will follow and film all of your activities. Those, whose everyday life is related to extreme sports activities such as wind surfing, off-road motorcycle racing or car racing, will definitely appreciate this invention. The Airdog ADII can easily track all movements through the use of GPS-enabled wristbands. The drone comes with a special waterproof wristband (its name is AirLeash). The prime target of the wristband is to initiate takeoff and if necessary, make fast adjustments during the flight. The greatest benefit of this drone is that there is no need to use a remote controller or a mobile device to control this drone. All this can be substituted with AirLeash. This is a must-have tool for those who are engaged in sports activities and want to track their achievements with the help of drones. CEO and Cofounder Edgar Rozental confessed that their invention is not meant to be manually piloted. The prime objective of this drone is to make photos or videos of yourself when you are in action. It stands to mention, sports drones appeared not so long ago. Airdog released their first sports drone two years ago. The updated model has lots of new options that allow you to program altitude ahead of time in 3D and set the ADII’s path. This drone can easily adjust to all your movements. It follows you and avoids various obstacles like buildings, mountains or trees. You just need to outline the path via the controlling app or on AirLeash screen (they sync with Google Earth). Depending on the type of you activities, you can pre-set different modes that will change the position of an aircraft. Nevertheless, this drone has one shortcoming. It is not equipped with a camera. You are made to buy a GoPro Hero 5. Very soon it will be offered for sale. The average price is around $1500 depending on the retailer. So, if extreme sports activities are a part of your life then such sports drones will be very useful for you!